As a small business grows, it can be hard to establish your brand. Navigating the waters of advertising and social media can be confusing at best. Growing your brand is hard in a world full of businesses all vying for attention for consumers. Some small business owners seem to have a knack for building a brand while others shake their heads in frustration. If you aren’t sure how to build your brand, it might be time to hire a branding pro. 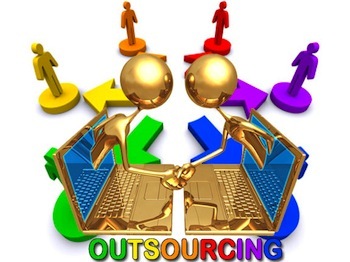 You can add one to your staff or do what the majority of business owners do: outsource. When someone outsources that means they are going outside of their own company for help. Outsourcing requires less financial investment than devoting an in-house team to brand building. You do not need to add space or bring in more staff. Companies that specialize in social network strategies or branding have dedicated professionals to help you create your brand. You will work closely with such a company to devise the perfect branding campaign for your company. Outsourced can often mean that you have more contact with your branding professional. Most people that work for branding specialists are available to speak with you most of the time through instant messaging, email, or text. This creates an ‘always on’ environment for your campaign. How Will They Build My Brand? Most outsourced branding specialists work via the internet. They use social media, paid advertising, and word of mouth to help grow your brand recognition. The company may also use specialized content such as blogs or guest articles on websites. The information or content typically has links back to your website or product. As content is generated, your company (if written well) is seen as an expert on your chosen topic. Imagine Clorox – what comes to mind? This company is well known for cleaning tips. Not just in laundry but in killing germs and keeping households germ-free. Much of this branding is from word of mouth, but they have placed themselves as the ‘go-to company’ for clean. How expensive branding will be is determined by your campaigns. All branding or SEO companies have pricing packages that are based on your needs. Some might seem expensive, but when compared to the cost of adding a full time branding staff, it is actually quite reasonable. The return on using a branding specialist can be phenomenal. When the right strategy clicks you might just become the next ‘go-to’ expert in your field. Determining the value of outsourcing your branding help will also rest on how much revenue you bring in normally. If your product or service is very specialized, you may be in more demand than a rehash of an old product (see Clorox). A dedicated branding staff member or department is not reasonable for a small business that brings in a small amount of revenue per year. Tina Samuels gives advice on brands, social media, and how to remove personal information.